Productivity is such a hot issue in recent years in part because distractions have all but taken over our days. We spend time checking Facebook, Twitter, Instagram, Pinterest, and dozens of other sites – and before we know it, half of the workday has eroded away. 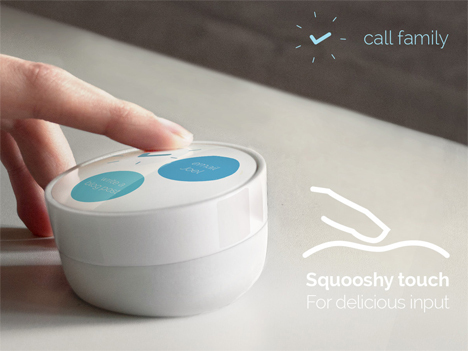 Designer Lucas Neumann was driven to create a real, physical object that would help us stay on task and accomplish goals throughout the day. 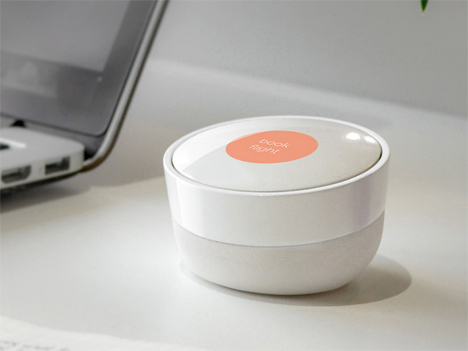 Bossy is a small desktop cylinder that Neumann likens to a sticky note. It combines the unlimited organizational powers of the internet with the tactile satisfaction of finishing a task and crumpling up the note that reminded you to do it. The big difference – other than the difference between analog and digital, of course – is that Bossy breaks up your daily tasks into three to-dos at a time, eliminating the overwhelming feeling of having a million things to do. 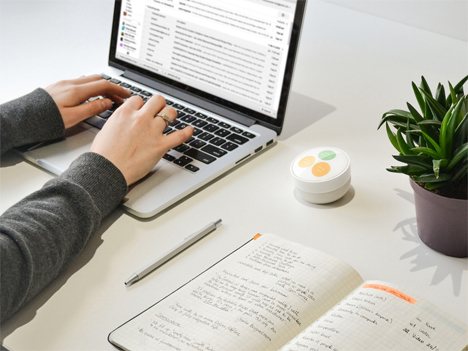 The Bossy pulls your to-do list from your task management software and serves your tasks up three at a time. The display is pleasantly uncluttered, with a white background and three cute circles displaying the things you need to accomplish. When you finish one, you press the soft silicon surface and the bubble pops, giving you a satisfying tactile experience to go along with your sense of accomplishment. 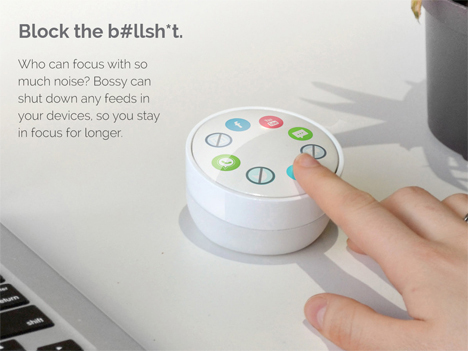 One of the more interesting aspects of Bossy is its ability to mute your distractions. It can turn off your Twitter feed and Facebook notifications so that you can keep all of your attention on the tasks at hand. Will Bossy ever replace the ubiquitous sticky note? Possibly, but at the moment it’s just an interesting prototype that the designer hopes to fund via Kickstarter after some further development. See more in Digital Design or under Technology. April, 2014.